Americas Best Value Inn and Suites Oroville offers the most value for your money when staying for business- pleasure- or just passing through. Business travelers will appreciate our business center with a computer and copy and fax service. Make sure to take advantage of our guest laundry facility open from 9am to 9pm. We offer clean spacious rooms- free continental breakfast- and in-room WiFi. All guest rooms include microwaves- mini-fridges- and 32 inch flat panel cable TV*s with HBO and ESPN. Take advantage of our extremely comfortable beds and relax while saving money year-round with our Kids Stay Free Policy *15 and under in parents room*. For those guests that are in town on longer term corporate assignments or business trips we also offer special weekly rates as well as direct billing options. For your convenience our hotel offers both smoking and non-smoking rooms. Pets are welcome- restrictions and charges apply. We are conveniently located right off of CA-70- close to local attractions including the Feather River- the Oroville Chinese Temple and the Oroville Dam. Americas Best Value Inn and Suites Oroville is your best choice in the *City of Gold*. We offer ideal accommodations and location whether you are in town for fishing- boating- and hiking or simply passing through on your way to Sacramento or Chico. At Americas Best Value Inn and Suites Oroville our goal is to provide our guests a great experience- not just a place to stay. At Americas Best Value Inn and Suites Oroville Weve Got You Covered from the time you hit the road until your head hits the pillow. Western Pacific Brewing and Dining: 1.7 mi. Tong Fong Low Restaurant: 1.5 mi. Round Table Pizza: 0.4 mi. Los Compadres Restaurant: 0.8 mi. Dutch Brothers Coffee: 1.2 mi. Gold City Grill: 0.2 mi. IFA Journey Vegetarian/ Seafood Jamaican Restaura: 0.2 mi. 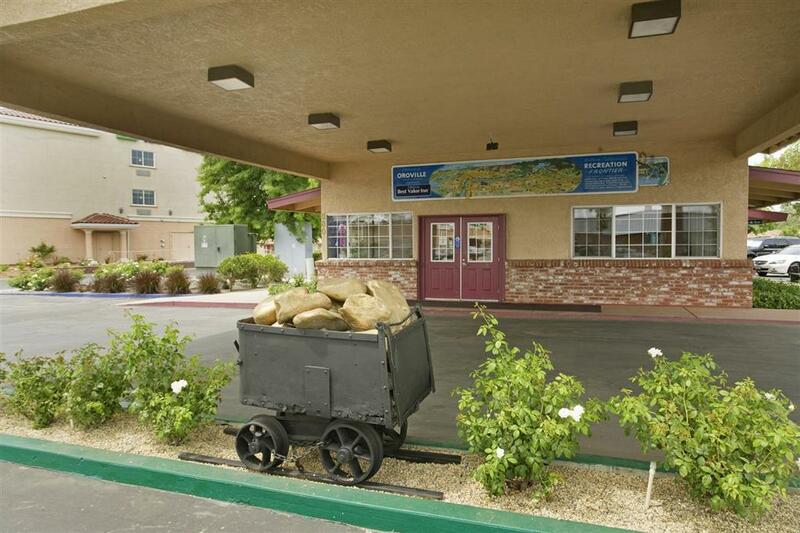 Americas Best Value Inn and Suites Oroville is conveniently located off of CA-70 exit 46.